Beaufort is beautiful. Everything is bright green. Huge homes are surrounded by neatly trimmed lawns. Large trees hover everywhere, shading wide, clean-swept sidewalks, verandas. The humid air has a sweet smell to it. Our bus slows down as we drive through the center of this picture-postcard small southern city. 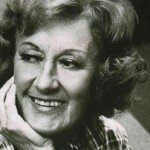 If ever the word timeless applied to a musical figure, it would be Marian McPartland. To listen to her radio program, Piano Jazz, which has been running continuously on NPR since 1976, is to hear a woman at ease with great jazz composers like Bill Evans to the most contemporary artists such as Alicia Keyes. Her vast curiosity and sincere interest in other musicians has kept her forever young. And that’s how I found her to be when I first met her in 2007. “Those male trumpet players guard those positions like a bulldog on a bone. 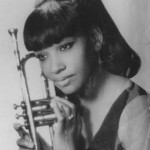 We got a tough row to hoe with the trumpet.” So said jazz trumpeter Clora Bryant in an interview for a National Public Radio program in 1993. One fateful day in 1993 a chance push of a button on my car radio introduced me to Clora Bryant. 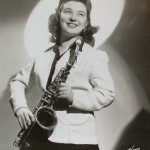 The program, All-Women Bands of the ‘20s, 30s, and 40s, was an eye (and ear) opener for me. Although I had played trumpet professionally for 30-plus years, I had never heard of Clora or any of the other women on the program. Hearing Cindy Blackman play the drums is like a rapturous percussive tornado of sound. You just get swept away. My first exposure to Cindy Blackman occurred when I first saw the video for, rock ‘n soul all-star Lenny Kravitz’s “Are You Gonna Go My Way” in the early 90s. I had heard the song before I knew who was playing the drums and thought the track was explosive. I was immediately attracted to the sound of the drums in the song. On the Road Again: The Girls in the Band Fall Film Festival Line-up! 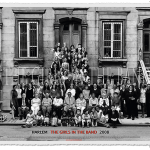 The Girls in the Band screens at DOCUTAH Sept. 5 – 9, 2012! The festival is located in Utah between Zion National Park and Grand Canyon National Park. THE GIRLS IN THE BAND screened at The Minneapolis – St. Paul International Film Festival (April 12-May 3)! The Girls in the Band will also be screening soon at the Denver Women’s Film Festival on Fri., Mar. 9 at 6pm. Q&A with Producer, Nancy Kissock, to follow. Next up – Omaha Film Festival! The Girls in the Band will screen next at the Omaha Film Festival in Nebraska on Fri., Mar. 9 at 8:15pm. Tickets may be purchased here. Next up – Victoria Film Festival! The Girls in the Band has been invited to screen at the Victoria Film Festival on Feb. 6 at 6:45pm. Tickets available here. Audience Choice Award for Best Documentary at the Palm Springs Int’l Film Festival!